"I really am so pleased our animal print ties struck a chord with you chaps last season. Now I have the perfect excuse to add a fresh batch of cheerful silk critters to our collection. Say hello to Messrs Rabbit, Pelican, Flamingo, and Crab and mind you look after them." "A true Jermyn Street tie: crafted from pure silk and finished by hand." 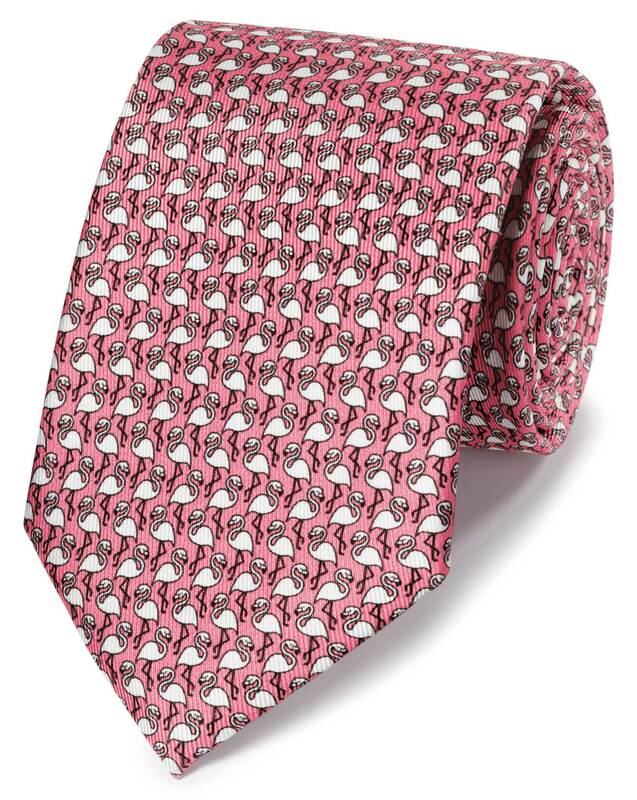 Attractive tie.... well made and in style! Quick delivery. Great pricing and quality - as advertised. Great quality. Perfect Florida tie. Love,the tie. A little pricy!